Small time jewel thief King Kong (Sam Hui) makes the grave error of crossing the mob when he steals a consignment of jewels. To hide his trail, Kong leaves evidence that points to internationally renowned thief White Glove, who is forced to travel to Hong Kong and track down the real culprit for the mob. 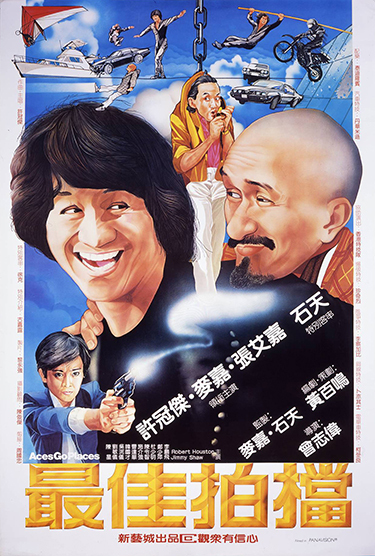 Hot on White Glove’s trail is Chinese-American police officer Baldy (Karl Maka), who is brought to Hong Kong and partnered with the nononsense Hong Kong cop, Nancy Ho (Sylvia Chang). Adding to Kong’s problems is the untimely death of his accomplice who hides the jewels, only leaving a clue to its whereabouts, forcing Kong to form an alliance with Baldy and his feisty partner to find the jewels and also catch White Glove.